Well, it’s important news for me, anyway. I have spent the last 35 days of summer not knowing my courses for next school year. We just finished up our first year of the new early college program (you can read all about it here). The 9th graders will be sophomores next year, and we’ll be accepting a new class of freshmen. I taught 9th grade general and honors English this past year, and looked forward to getting my course list ASAP to start planning for the upcoming school year. Turns out, I’ll be moving up through the grades and teaching the sophomores next year!! I’ll be teaching three classes: 10th general, 10th honors, and 9th honors English! Ye-haw! I’m so happy that my administration has faith in me and my abilities and they know where my talents can best be utilized. It makes me feel so valued (huge grinning face here). I am excited. A new challenge lies ahead. Another push for excellence is before me. When will I get a chance like this again? How awesome to build the curriculum and move up and teach the same group of students throughout their four years? Hooray! Now I need to finish mapping my 9th grade stuff to share with the new teacher. And then start mapping 10th grade. And decide on the first novel. And write a list of supplies needed. And actually make a LIST of all the lists that need to be done. Ay yi yi! Sometimes I eagerly read educational posts and other times, I can’t believe someone actually wrote that text. The latter certainly applies to a recent post on Education Week by Mark Bauerlein. In the article (can I even call this an article? post, I’ll call it a post). In the post, Mr. Bauerlein explains to us that high school students are dropping out because they’re bored and unmotivated. So if this is the case, instructional methods must change, right? Okay, so hypothetically that happens, and we engage students and they (GASP!) have fun and are engaged. Now they’re in college, in the boring first-year mandatory courses. And they drop out. Because they’re bored. Whoops, we have a problem. First, the ethical appeal he presents is a one-line, “I teach freshman comp, so trust me, it’s hard to find any academic material students are eager to write about.” I have a hard time with the “trust me.” Why, just because you teach frosh comp? I worked as a supplemental instructor in frosh comp (100, 104, & 105 – so I have a well-rounded experience) for eight semesters as an undergrad. The composition director and her team found very interesting and relevant texts which we used in our program. I also researched and brought in my own material. I both learned and taught a great deal on rhetorical appeals and this “trust me” business isn’t flying. Second, high school students are still kids. Disregard the ‘they’re getting ready for the real world’ thought and focus on their age. As a young adult, high school students require a certain degree of stimulation or engagement. Granted not every class has to be fun and games 24/7 (in fact, they shouldn’t be), but kids just want to have some fun. As educators it is our responsibility to meet students where they are. I look forward to the challenges involved in determining individual abilities and interests. Third, the author pointing the finger at high school is like the pot calling the kettle black. Who exactly determined that the ‘problem’ lies with high school? I’m open to a conversation in which we discuss how higher education requires change. If high school students need to be engaged in order to learn, then assume first-year college students require this as well. Make a compromise and meet students halfway. There are so many possibilities, one specifically being that college instructors plan group and peer activities along with their favorite method: lectures. Acclimate students to the collegiate environment while still providing engaging instruction. I have a difficult time seeing the logic in some posts on educational sites or printed copy that make arguments for boring high school students so they don’t drop out. Mr. Bauerlein offers a final nugget of advice: “Boredom is not always something to be avoided. It is to be accepted and worked through.” Yes, sometimes we have to do things we don’t want to do, and this is absolutely a skill that high school students need to learn. But to remove all engagement and excitement? If you can’t get a kid excited about learning in high school, what makes you think he or she will develop that excitement in the first year of college? After reading the original article (link here) and some of the comments on the original post, what are your thoughts? Do you agree? Agree with a difference? I’d love to hear your thoughts and develop a conversation about high school engagement. Let me know in the comments below! After teaching frosh comp at college, I decided to go back to school for my master’s and teach high school. I absolutely fell in love with high school, teenagers, teaching, the material I taught, and my ‘kids.’ I don’t think I’ve ever been as happy as I was during student teaching. I finished that in December 2012, and started looking for jobs right away. After losing a parent in January, I lost motivation for a while and just muddled through the days, working and not much else. May approached and I felt the proverbial kick-in-the-pants to get moving and look for teaching jobs. After over thirty (yes, THIRTY) applications and some interviews, I accepted the most awesome position I could ever ask for. For those who are familiar with Northwest Indiana, you’ll know that there are affluent and less-affluent areas. We have a unique combination of urban, suburban, and rural communities – all in the same county. In Hammond, an early college high school has been formed, and I’m part of the team getting this program up and running! I’m so excited to be in here at the ground-level and to have a chance to really shape it and put my stamp on it. The early college program is nothing new – there are over 250 in the United States, but this is the first in the Northwest Indiana area. It focuses on underprivileged teens who have the desire to go to college, but wouldn’t go otherwise. These scholars have the opportunity to earn an associate’s or up to two years of college credit concurrently with their high school diploma. How awesome is that? So, after many meetings and orientation and all that good stuff last week, I was finally in my room on Friday. I rearranged desks about ten times, moved MY desk all around the room, hung the paper and made bulletin boards. 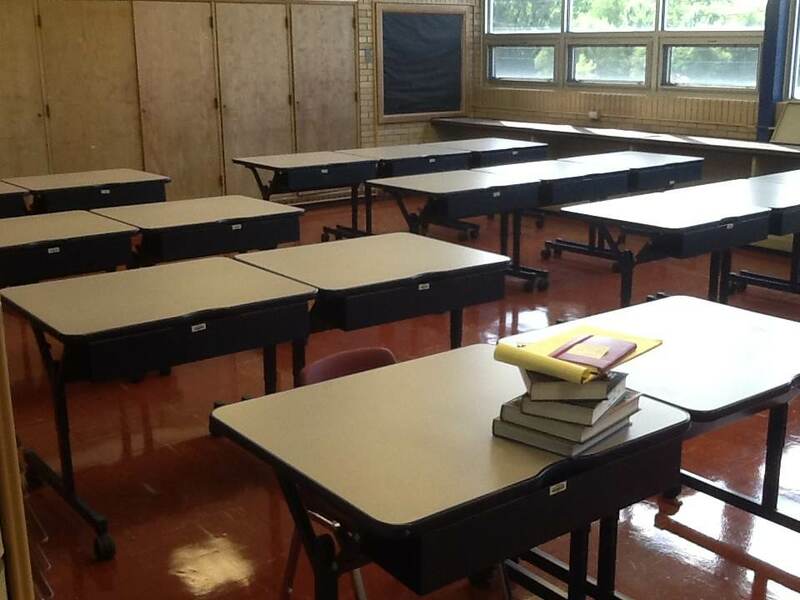 The desks were originally in four rows of five, but I didn’t like that I could only move around the perimeter. This is what I finally decided on. My desk is in the front corner, because I never sit at my desk while class is in session anyway. I’m loving the storage in my room – the entire back wall has cabinets with shelves. Today I worked on my classroom library and my resource books – I’ll share photos soon. No longer will I neglect Twitter or the blog (remember the whole ‘lost motivation’ thing? ), because I have too much to share and too much to learn from my PLN! 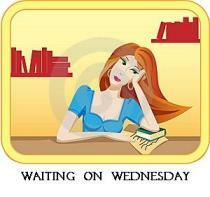 Yay, I finally got around to writing my first Waiting on Wednesday post! Waiting on Wednesday is a weekly meme hosted by Jill at Breaking the Spine to spotlight books that we cannot wait to get our hands on and read! Check out the full synopsis and good stuff and Goodreads! 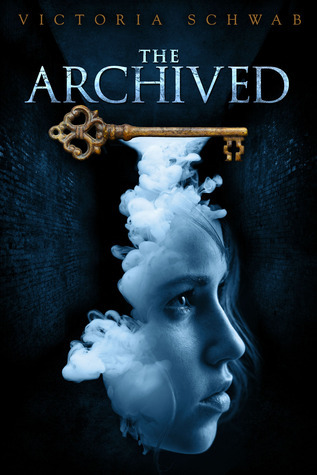 Best of all, you can enter Victoria Schwab’s giveaway for some ridiculously awesome Archived swag! Heck yes, I want to be Archived! Folks, my review of CAMP was published today on Nerdy! 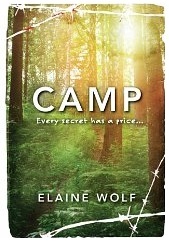 To commemorate my very first post on The Nerdy Book Club, I am giving away my copy of CAMP by Elaine Wolf. I enjoyed reading this book. I’m paying it forward, and I want you to be able to read it too! Have you read CAMP? Are you looking forward to reading it? Let me know in the comments below! You can also find Elaine Wolf on Twitter and let her know what you thought about CAMP.